The deign origin from the diamond shape and realize the sparkling of the diamond from making it to be the lighting. The materials is made with bamboo and the inside cover is made from paper materials. It’s also the Japan style on using it in the countryside hot spring inn. And due to the design is not the ordinary one to sell in the super market or mall, it creates more value for the user to have such bamboo lighting to decor their home too. 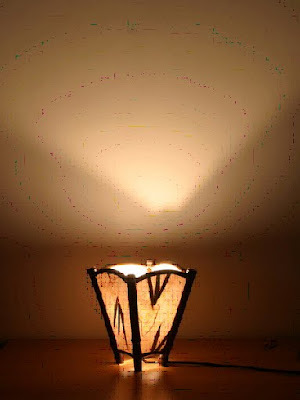 It can use in any rooms for providing the warm feeling, Japan feeling especially during the mid-night.